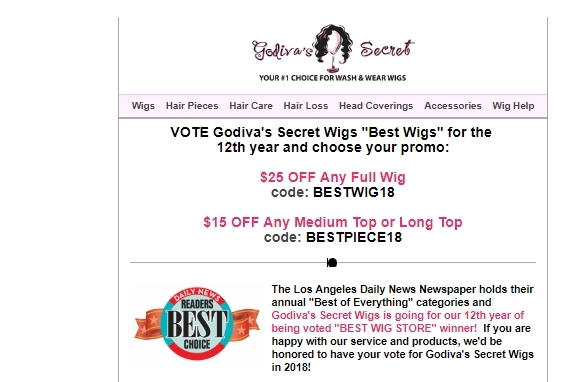 Rene Orellana This offer is only valid on regularly priced wigs, medium tops and long tops. Not valid for Costume Wigs, Sale Wigs or any other hair pieces. Can't be combined with other discounts or offers other than Free Shipping. Not valid for Consultant pricing. Expires July 7, 2018.